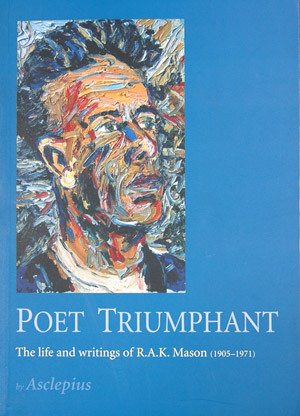 R. A. K. Mason (1905-1971) beat thirty-one other applicants for the Burns Fellowship in 1962, and although the selection committee regarded him as 'the foremost living poet', he had not published a poetry book for 21 years. Mason's intention was to write short stories and prepare a biography on Rewi Alley. What actually eventuated was a fine-tuning of past poems, a fine-tuning of a number of works associated with China, the printing of a radio tribute to A. R. D. Fairburn, and a few one-act plays. His tribute to Fairburn was hand-printed in The Bibliography Room in a limited edition of 100 copies. Indebted to Mason, John Caselberg wrote his own idiosyncratic book on Mason, the 'Poet Triumphant'. Some 30 years in the making, it finally appeared in 2004. 'Asclepius' [John Caselberg], Poet Triumphant. The Life and Writings of R. A. K. Mason (1905-1971). Wellington: Steele Roberts, 2004. 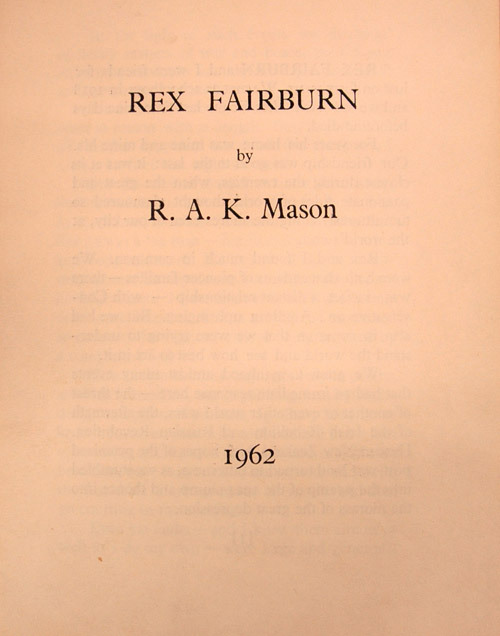 Private Collection; R. A. K. Mason, Rex Fairburn. Dunedin: The Bibliography Room, University of Otago, 1962. Bibliography Room/Otakou Press Archive. One definite outcome of Mason's tenure was his Collected Poems, a project begun by Denis Glover in 1956, and finally published in 1962. It is unrecorded how many people turned up, but the book launch began at 6.00 o'clock at the University Bookshop (Otago). 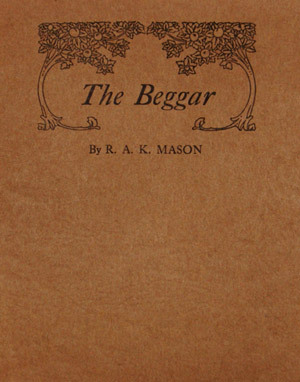 Also on display is Mason's first true publication, The Beggar, which because it sold poorly, he was supposed to have dumped some 200 copies into the Waitemata Harbour. Brasch at least secured his own copy. 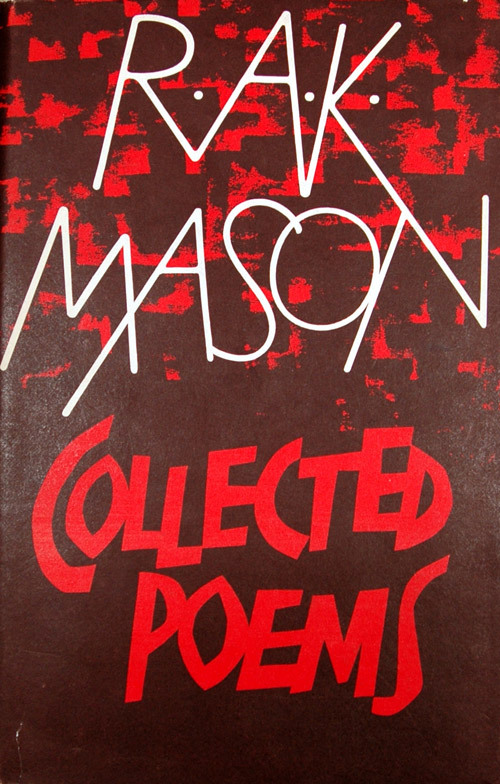 R. A. K. Mason, Collected Poems. Christchurch: The Pegasus Press, 1962. 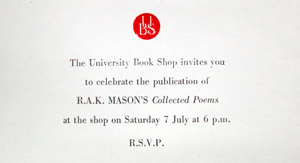 Brasch PR 9640 M37 A1; UBS (Otago) Invitation, 7 July 1962. Bibliography Room/Otakou Press Archive; R. A. K. Mason, The Beggar. [Auckland: Whitcombe & Tombs, 1924]. Brasch PR 9640 M37 B4.